Cast & Crew of "A Little Princess"
James became enamored with the stage following a cameo appearance in Chasing Moonshine, an adaptation of his second novel. He then added to that amazing experience with roles in Emma, The Hobbit, Measure for Measure, an Ideal Husband, and Arsenic and Old Lace. He most recently served as stage manager for She Has a Namebefore beginning work on his first play, a Victorian comedy of manners called an Honest Apology. Jeanine is happy to be back at Beaverton Civic Theatre. She had a great time last season in Little Women. Jeanine spent her 30 plus years at Glencoe High School “playing “ in the theatre. That is where she is the happiest. Since Little Women she has been in The Full Monty, Somebody’s Ripper at TITG, Yente, the matchmaker, in Fiddler on the Roof. She is thrilled to be playing the role of the mean-spirited Miss Minchin. Isabella is proud to join the cast of Beaverton Civic Theatre's The Little Princess. Previously she has performed in The Jungle Book as Kaa and is currently playing Tallulah in Bugsy Malone. She loves to act and sing, and aspires to be a professional actress someday. Isabella is profoundly grateful to her parents for always letting her pursue her dreams, and to the directors of this play for their faith in her. Belle has lived in the Beaverton area all her life. She is currently studying Theatre, Dance and Vocal performance at Beaverton’s Arts and Communication Magnet Academy (ACMA). She has also been performing with Hillsboro’s Stages Performing Arts Youth Academy for the past two years and was in many musicals in elementary school. Belle is excited to play the role of Ermengarde and believes that this is a good opportunity to learn more about acting. Kaitlyn has been performing for local audiences four years since the age of five. Her first role was in Portland Opera's production of Madame Butterfly where she played the role of Butterfly's son Sorrow. Next for Kaitlyn were two other supernumerary roles in Don Giovanni and Falstaff both with Portland Opera. Kaitlyn loves singing and dancing and is a member of the Hillsboro Community Youth Choir. Needless to say, Kaitlyn LOVES the stage! After several long years of being around BCT with her father, Kassy is finally back onto the stage herself for her third show at BCT, her first being The Miracle Worker (Blind girl) and the second being If It's Monday, It Must Be Christmas! (Polly). Kassy also performs musicals in Canby. Although she enjoys her stage time, she aspires to be a special effects makeup artist in the future. She's pretty darn good at it too! Chuck has been appearing on "Broadway" for the last 34 years at the Beaverton Sub Station in Historic Downtown Beaverton. He invites everyone to join him on Broadway and see the new recently completed streetscape between Hall and Watson. 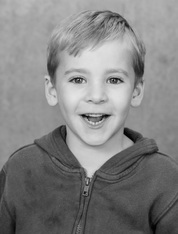 He was in three of the Beaverton Community Theater Productions, this is his first role with the Beaverton Civic Theater. His wife Gina Wilson is currently showing her work at the Laura Russo Gallery. Lily is fourteen, homeschooled and has been involved in community theatre for the past 6 years. She is extremely excited for her first show with Beaverton Civic Theatre. Some of her favorite past roles have included Fenris Ulf in The Lion, the Witch and the Wardrobe, Scarecrow in Dorothy in Wonderland, Imogene in The Best Christmas Pageant Ever and Sue, a fairy-in-training in My Son Pinocchio Jr. She hopes you enjoy the show! Lily is a long time BCT fan and helper. This is her debut performance on the library stage! She has appeared previously with Stages Youth Academy and sings in Hillsboro Community Youth Choirs' Premier Choir. Lily is in 5th grade at Aloha-Huber Park, is a black belt in taekwondo and is currently studying Brazilian jujitsu. She thanks family and friends for supporting her! Jordyn is a STAR student at Aloha-Huber Park where she is in 3rd grade. She is very excited to be in her first BCT production! Her first play was Dorothy in Wonderland at STAGES. She also sings in Prelude Choir at Hillsboro Community Youth Choirs. Jordyn likes to paint, make crafts, and play with family and friends. Thanks to everyone who supports her! Elise is a fifth grade home school student and is eleven years old. She enjoys cooking, reading, playing outside and spending time with her family and pets. Her previous roles include: a perfect child in My Son Pinocchio Jr., Tweedle Dee in Dorothy in Wonderland and Alice in The Best Christmas Pageant Ever. She would like to thank God for all His blessings and her parents for their love and support. Emma is a third grader at Gaarde Christian School in Tigard. She has past experience performing in dance recitals, talent shows, and Christmas programs. Emma wants to follow in the footsteps of her mom, who has had some small parts in made-for-TV movies. She is excited about being in the cast of A Little Princess. This is one of her favorite novels, and she thanks Melissa for the chance to participate. This is Alex's debut to the stage, although his former claim to fame was his audience interaction in Coconuts at the Oregon Shakespeare Theater, where he was briefly known by name throughout town. Alex is honing his acting skills as a student of NWCT. He is an aspiring actor and thanks you for coming to see the show. Mia loves singing, acting and sports. She has performed in church productions and with the RPAC, Ridgewood Performing Arts Club in a reenactment of Mighty Medieval-y Men. She is thrilled to join the cast of the Beaverton Civic Theater to perform A Little Princess which is based on one of her favorite childhood books. Isabel is a freshman at ACMA and is thrilled to be in A Little Princess! She has taken theatre camps and classes at both NWCT and ACMA, and has previously been seen as cast and crew in shows such as Children of Eden, Once Upon a Mattress, Coraline, and The ACMA Zone. She thanks you for coming and hopes you enjoy the show! Phyllis is thrilled to be working with BCT again, the first being in their inaugural season playing Melba the Fairy Godmother in Happily Ever, Once Upon. Other shows include The Witches, Romeo & Juliet, Sleeping Beauty, Willy Wonka and Cinderella with Northwest Children’s Theatre and Play On! With Mask & Mirror. Thanks to Bruce who supports her theater habit and to Melissa and a talented cast and crew of A Little Princess. Logan is in Kindergarten at Aloha-Huber Park. This is his first BCT show. He played John Thomas in The Curious Savage with Mask and Mirror Community Theatre earlier this year and began sining in Hillsboro Community Youth Choirs' Prelude Choir this fall. Logan likes to eat snacks and ride his bike. Thank you family and friends! Sarah is absolutely thrilled to be in A Little Princess at BCT! This was my favorite book growing up! It has been fantastic to work with Melissa as her co-director AND be in one of my favorite shows! She has also enjoyed working with this amazing cast! My thanks to my family: Jessie Turner for "delivering the message"; Sheri Ominski for reading the newspaper, and my children: Justin, Christopher and Matthew & Claire Barlow.